I have struggled for a few days now on how to begin this post because there are so many thoughts jumbled into my head that I can barely keep them straight! Let me start by saying that Book Expo America was an overall amazing experience and I am thrilled that I was able to attend this year. Now we are REAL LIFE FRIENDS! The Bloggers: I was aware that this was a type of networking event and being that I am still an extremely new blogger I was excited to take the opportunity to meet as many blog friends as I could. Looking back now it seems so silly that I was more anxious to meet my fellow bloggers than I was to meet some of my favorite authors! I met some absolutely LOVELY ladies whose reviews & opinions I really value and I came home feeling better knowing I can put a face to some names. I do have to fangirl for a quick sec and just mention that on day 3 I was lucky enough to meet both Ana and Thea from The Book Smugglers. Their blog is one of the only blogs I read before I started blogging, they were part of the reason I got into blogging in the first place and I may have fangirled over Ana a tiny bit – sorry lady, you’re both just as awesome in person as I had hoped! Finally, I might get a bit sappy here and say that one of the major highlights of my entire trip was meeting Heidi at Bunbury in the Stacks. 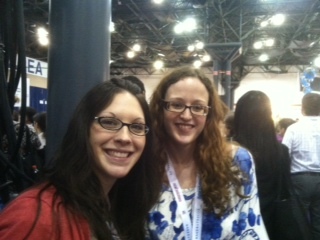 Heidi and I had multiple classes together while in graduate school but as it was all online we had never met in person! We knew we were book soulmates for a while but once we met it was like we had known each other for years and I am grateful to call her a real life dear friend of mine at last! The Authors: I’ll be honest; I was extremely overwhelmed when I thought about how I would be meeting authors who I have loved for years. I was so surprised and elated to see how genuine and thrilled they seemed to meet me too! We stood in line for Daniel Handler, who I have loved for many years now and he chatted with me for a few minutes and told me he married a girl from CT and that he might have to stop by my library to see the new expansion! I DIED! I love you Lemony! We waited in line to meet Melissa Marr and to obtain a signed copy of her new book, Carnival of Souls and as people walked by they were appalled at how long the line was but you know what? It was so worth it. Melissa Marr was so gracious SHE thanked US for waiting AND then SHE HUGGED ME! It was so nice it nearly killed me. 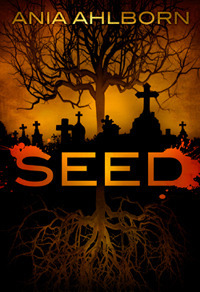 The third author highlight for me was definitely Erin Morgenstern. Erin was giving away and signing paperback copies of her 2011 debut novel, The Night Circus. 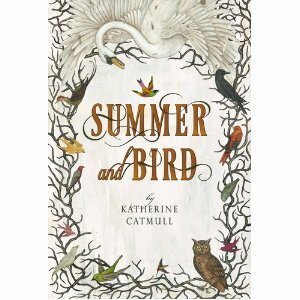 Those of you who follow my blog know how much I adore this novel AND Erin so it was no question that I would be standing in line to meet her. She was courteous enough to get a picture with me and I tried not to pass out. There were of course many other great authors that we met. Jackson Pearce kept apologizing for making us wait in her line and I had to reassure her that it was my pleasure and I really couldn’t wait to read her book! Even Sarah Maas was apologetic and so kind that she told me how overwhelming it was to be there and she kept assuming no one would show up. Let me tell you something, Sarah, after leaving your line I had QUITE a few people eyeing my book and insisting I tell them WHERE I obtained it. Needless to say this was one I kept in the backpack lest some biting blogger steal it from my suitcase downstairs. 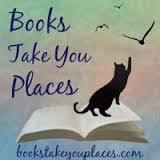 The Books: Ahh, the books. How can I try to explain just how amazing BEA was without focusing on the books? The books fall into a few categories. Some that I set out to obtain knowing that I would love them, and some that I had never heard of but now am elated to read because oh my god they sound awesome. Overall the “book” part of the BEA was a HUGE success and really I’m not disappointed at all. Okay, I have to mention this because I obsessed over it during BEA and I am pretty sure Heidi will call me out if I don’t, I WAS disappointed I didn’t obtain a copy of In a Glass Grimmly by Adam Gidwitz. So, if you are reading this and you obtained a copy I would love you forever if you let me borrow and read it once you’re finished (I’m lookin’ at YOU, Amy!) That being said if any of you see something I managed to grab that you want to read just let me know! BEA was a complete success for me, it was everything I had hoped it would be. The 4am wake up, train rides, bus rides, and extremely scary taxi rides were all part of the NYC charm. Next year my aunt (who I thought I had dragged along but really ended up more excited and with more books than I did) and I decided we might do one day next year and include one of the author breakfasts. I heard Stephen Colbert was hilarious as always and Lois Lowry made people cry. Additionally, I want to add in some of the lectures next year because I think they would be beneficial, this year I had too much fangirling going on to make any of the lectures so that is one thing I have to make time for! My final book pile and some very nosy cats! Farewell, BEA, until next year! This entry was posted in Event and tagged Book Expo America. Bookmark the permalink. Thanks for the recap, it gave me a little taste of what it must have been like to be there! How awesome that you got to meet so many awesome blogging friends and authors. And it's particularly exciting to get to see good online friends you hadn't had the chance to spend time with in person before. Look at that pile at the end! If I was a cat, I'd jump in too. 🙂 I always like to see what other people got. IRON HEARTED VIOLET – awesome title. I'm glad you had a good time and met people. That's a big part of what makes it a good experience for me. It was the best time I was so impressed and I had really no idea what to expect! It was so worth it, definitely go if you get a chance! They have to get into everything!! 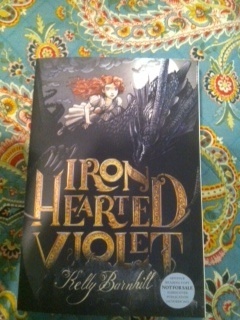 Iron Hearted Violet was one of the ones that the publisher just said "Hey, check this out!" and the premise sounds so interesting. Those are my favorite kinds of books! They had to smell all of the NYC smells ;] and I am SO jealous you grabbed the new Gidwitz and I would love you forever if you gave me a chance to read it before September! BEA rocked! You two are so cute. Glasses twins! It sounds like you had a great time at BEA. Reading through the recaps of BEA has definitely added to my TBR pile. The book I am most interested in in the last picture is that furry one on the side. How much for shipping? We had so much fun! Which one do you mean, the blue covered one? That's Fathomless by Jackson Pearce? BEA sounds like so much fun!And Throne of Glass? I can't wait for its release.